The Bible shows God speaking to His people. Does God speak to us today in more than just his written world? 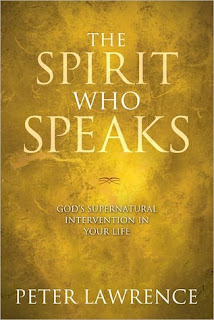 The spirit of God continues to speak into His people today, but are we listening for it and hearing it when it happens? The spirit speaks words, sometimes well in advance of the event it mentions. “We aren’t all going to get a word from God for other people, certainly not every day”. Peter Lawrence highlights people in the Bible who heard from the spirit and their reaction and what their encounter was like. God has not changed and can still meet with people in the similar ways outlined in scripture. Deeply charismatic and spiritual leaning toward Pentecostal. 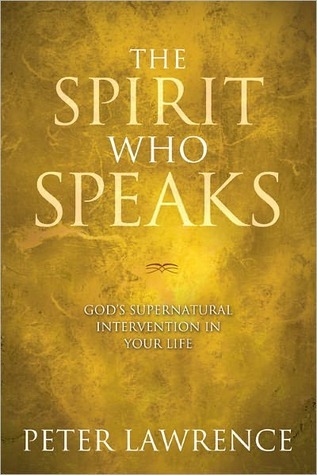 He uses many scripture references and real life stories as evidence for the spirit speaking. Using discernment and scriptural insight I didn’t find anything lacking from this book. I think it will be beneficial for those seeking more of the characteristics of a charismatic relationship with the Spirit through prophesy and speaking in tongues. It may be a little too deep for some and a bit ‘out there’ for others. I received a copy of this book from B & B media in exchange for an honest review.